However, there is a fine line that they must walk so they do not tread into the territory of overselling. When the retail staff starts to oversell, it can be very bad for your business. It’s important to give your staff the confidence they need to sell properly, but you also much teach them restraint. How do you know if the sales associates are overselling? You will want to look for some of the most common signs of this problem. When a customer walks into a store, the staff should greet that customer with a smile and ask them if they need help finding anything. If the customer doesn’t want or need any help, the sales associate needs to respect that and stay a respectable distance away. They should still be around when the customer does have a question or need some help, of course. However, there are too many stores – especially those where people are working on commission – that have sales staff that either hover like vultures or they are always standing over the customer’s shoulder. Making suggestions is nice, but making a nuisance out of themselves is going to cause some lost sales. The staff needs to back off and give the customers at least a bit of space. Something else that you might notice when sales staff is overselling would be customers that simply walk out without making any purchase. Sometimes, a customer might simply choose not to buy, but if you notice an inordinate amount of people who are walking out of the store without buying anything, the problem could lie with staff trying to push products too hard on the customers. You may notice this behaviour coupled with staff that never give the customers a free minute once they are in the store. While some customers might simply leave the store and tell their friends, family, and the Internet about their bad experience, others will complain directly. 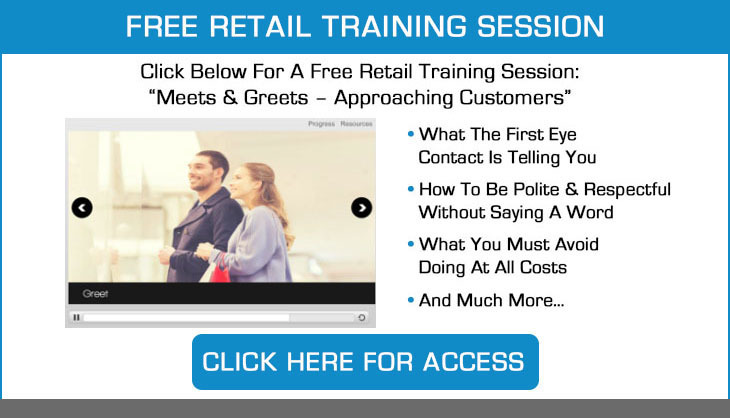 They will want to speak with a manager or a customer service representative at the store, and they will make clear what they do not like about the way the sales staff approached them. While these cases tend to be rarer, they do happen. Overselling can occur at just about any stage. It can happen when the sales staff is trying to push the main product the buyer might want a little too hard, or when they are trying the upsell with the customer. Even pushing too hard with add-ons and accessories can constitute overselling and cause the customers to react negatively. If you notice any of these signs, it is time to reeducate your staff. Make sure they understand the reasons this type of selling tactic can be detrimental to the overall goals of the business. Show them better ways to sell without driving away the customers.